What can we say but ‘Wow!’? It was a labor of love, and this project took us a long time, in large part because the team over at Amazae Special Events is all about perfection. Which is exactly what you want from your next event planner, right? The attention to detail and the stunning imagery really show through in this gorgeous piece of web work. 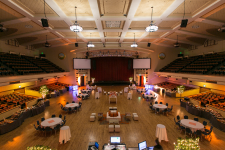 This Silicon Valley event planning company executes spectacular corporate events, weddings, parties, bridal showers, anniversaries, and birthday parties throughout the San Francisco Bay Area. Please take a good look at this website as a premiere example of Lightning Rod Solutions’s web development division, and/or to make arrangements for your next important event!